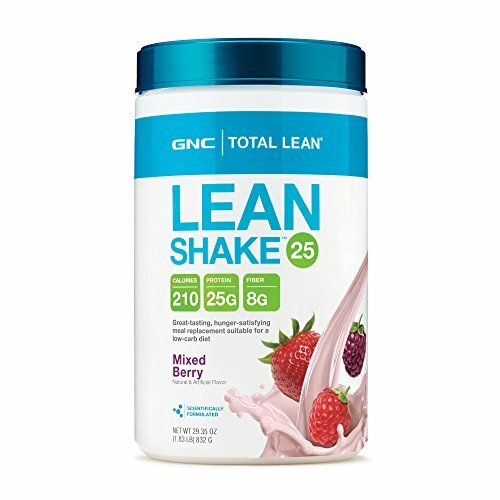 The GNC Meal Replacement Total Lean Shake is part of GNC's line of shakes primarily focusing on weight loss. 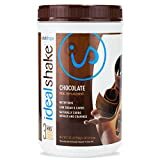 This low-calorie shake contains high-quality protein to promote lean muscle development and fiber to help you feel full. There are 11 total flavors, including Rich Chocolate, Cookies and Cream, French Vanilla and Mixed Berry. Founded in 1935, GNC (General Nutrition Corporation) has become the premier name in health, wellness and performance retail, with over 6,000 locations in the U.S. GNC offers both weight gain and weight loss shakes. 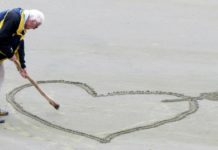 While most GNC meal replacement shakes reviews are geared towards weightlifters, this article focuses on the Total Lean Shake’s benefits to seniors. 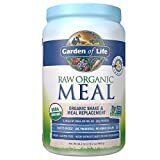 Why GNC Meal Replacement Shakes? 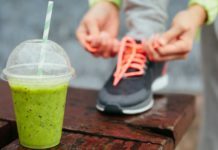 Do You Need the Total Lean Shake? What vitamins and minerals are in total lean shakes? For seniors who are looking for a healthy meal replacement shake, whether for weight loss or building more muscle mass, GNC Total Lean 25 shakes are premier protein shakes. Beings so, GNC shakes share common features: they are low in fat and high in protein. Some even use plant-based protein which is beneficial if you are trying to maintain a low-calorie diet. While the price can seem a bit high, it’s in the same range as other shakes in this class. The chalky taste may be a concern and something that can certainly be improved upon. The amount of time that it keeps you full depends on your metabolism and level of activity. All taken together, the GNC Total Lean Shake 25 ranks among the best meal replacement products. As a result, it receives a rating of 4.5 stars out of 5. GNC meal seplacement shakes are designed to support healthy weight loss and weight gain. With many seniors who struggle to manage their weight, these shakes often become a necessity. Depending on the formula, they usually combine protein with some form of high- or low-calorie blend. The primary benefit offered by the Total Lean Shake is weight loss. This can be achieved through decreasing caloric intake and increasing lean muscle development. Many GNC shakes contain up to 25 grams of protein per serving. The 24 vitamins and minerals in each serving also offer benefits to the skin, hair, and bones. Your muscle mass decreases as you age. This is a natural process known as sarcopenia. 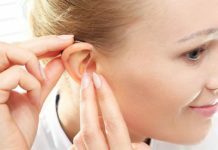 This muscle loss can also lead to a decline in strength, inability to perform basic functions and unwanted weight gain. The good news is according to a study published in the American Journal of Clinical Nutrition in May 2011, taking at least 20 grams of whey protein a day can help to protect against this loss. This is where the Total Lean Shake comes in. It’s a whey-based low-calorie protein shake that simultaneously supports lean muscle development and weight loss. In fact, these shakes can either help you lose weight or maintain weight loss. Containing 25 grams of protein and only 6 grams of fat, Total Lean Shake uses protein isolate to keep you full longer than other products. 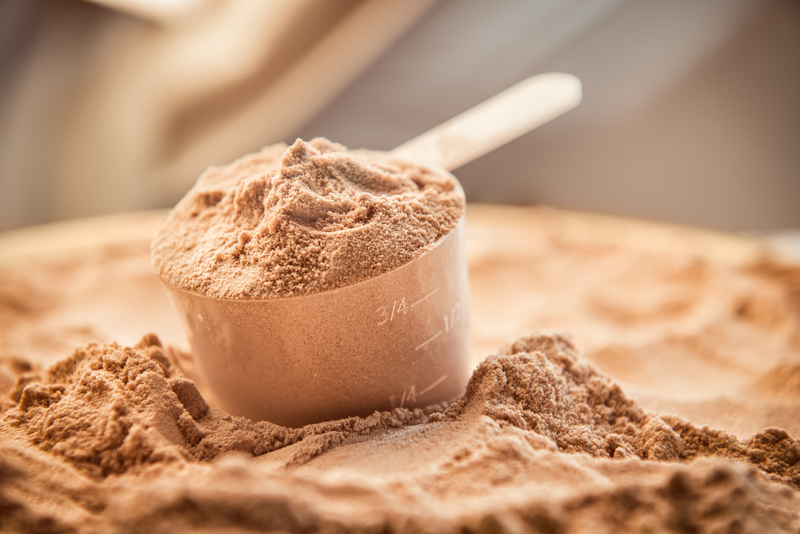 The FDA claims that protein isolate is the key if you want to lose weight, maintain weight, or build lean muscle. The protein is a combination of milk, whey isolate, and whey protein that supports muscle mass development. The fiber mainly comes from oat beta-glucan, which is a naturally occurring soluble fiber found in oat bran, and helps you stay full longer. The blend also includes important vitamins and minerals, such as vitamin B6, which benefits organs such as the heart and liver; vitamin E, which helps fight against neurological disease, Alzheimer’s and diabetes; and calcium, which helps to strengthen your bones. The protein and amino acids in the Total Lean Shake are more easily absorbed than those found in food. This allows you to build muscle mass more quickly and efficiently. It takes much less time to make and drink a shake than to prepare an entire meal. For at least one meal a day, you never have to worry about what to eat and whether it’s going to help you reach your dietary goals. You can use the shake to replace an entire meal and feel full. With such a decrease in calories, it is much easier to manage your weight and reach your goals. The Total Lean Shake seems expensive to some. You may be inclined to go with a cheaper option or just cook at home. The shake contains artificial ingredients and artificial sweeteners to enhance the flavor. As with most such ingredients, some pose the risk of side effects that must be considered by the customer. Many customers point out the powdery, chalky taste and clunky mouthfeel. This is certainly an area where the manufacturer can make improvements. Below is the full list of ingredients for the Total Lean Shake French Vanilla flavor. The lists are similar across all the flavors. 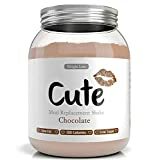 The biggest knock against the ingredients is that they include artificial flavors and sweeteners such as Sucralose and acesulfame potassium. While these help with improving taste and keeping the calorie count low, some studies link these substances to certain unwanted side effects. 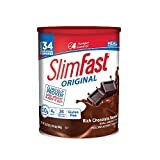 Ingredients: Protein Blend, Carb Blend, Creamer (Partially Hydrogenated Soybean Oil, Maltodextrin, Sodium Caseinate, Dipotassium Phosphate, Polysorbate 60, Monoglycerides, Natural and Artificial Flavors, Vitamin and Mineral Blend, Nonfat dry milk, Titanium Dioxide, Lecithin, Sucralose, and Acesulfame Potassium. Overall, the Total Lean Shake 25 receives positive feedback from customers. Out of over 1,200 reviews, more than half give it five stars. Most love the non-grainy taste, that it can be made with water while still providing adequate protein and the fact that it allows them to feel full for a good amount of time, which helps with weight maintenance. 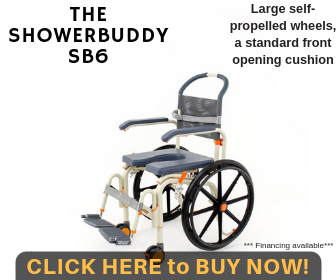 On Amazon, 16 percent of reviewers gave this product one or two stars. Most of the negative reviews center around the shake having a chalky, powdery taste. Even still, this doesn’t seem to be a deal-breaker for many. Some reviewers suggest that choosing chocolate flavors rather than the vanilla offers a better experience. One of the biggest competitors to GNC’s Total Lean Shake is Shakeology by Beachbody. They are both well-respected products and have their pros and cons. Here’s how they compare. Total Lean Shake provides 200 calories per serving with 25 grams of protein and 8 grams of fiber. Each serving has the minimal sugar content at 4 grams, but the sodium is on the higher end at 250 milligrams. 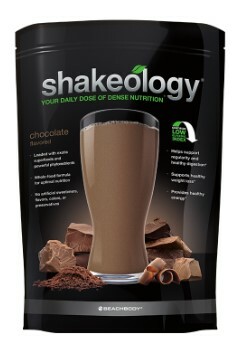 Shakeology offers 160 calories per serving and also less protein (17 grams) and fiber (6 grams). Its sugar content is slightly higher at about 7 grams, but sodium is lower at 150 milligrams per serving. Shakeology also offers an abundance of other nutrients not typically found in other protein shakes, including Total Lean Shake. These include proprietary blends made of ingredients such as flax, maca root, maitake, quinoa and much more. Total Lean Shake offers 11 flavors, while Shakeology only offers five. If you’re looking for variety, Total Lean Shake is the way to go. The price of the 30-serving bag of Shakeology is $129.95. The Total Lean Shake is much cheaper, at $39.99 for a 16-serving bottle. Both products receive high marks from customers. However, the cost of Shakeology tends to come up more frequently than for Total Lean Shake. Both receive their fair share of negative reviews for taste, but this doesn’t seem to be that big of an issue for most customers. Overall, the Total Lean Shake 25 is a great meal replacement for seniors looking to manage their weight and improve muscle mass. While it may be a bit expensive, the price is in line with other shakes in this category. Even with all the flavor options, the chalky taste can be a problem and GNC should look to improve it. To experience the benefits of Total Lean Shake for yourself, head over to Amazon.com and pick up a bottle. If you have any questions or anything to add, feel free to leave a comment below.